The University of Tasmania are offering a free (yes, I said FREE) family history course over summer, known as their “Spring School”. It is a fully-online course, so anyone, anywhere was take part, and you even get free access to Ancestry.com Library edition when you sign up for the course. The course runs from December 2014 to February 2015, and does require approx. 4-5 hours of study a week. Spring School 2014, starts on December 8th, and applications need to be completed by December 16th, 2014. The key to good research is getting a good foundation, and courses are a great way to learn about important records, skills, and methods early on in your research. So if you are a family history beginner and you can squeeze in a few hours of study into your week, what are you waiting for? You should do this course. And if you are an experienced researcher, it has been said numerous times that often going back and reviewing the basics is a good thing, so I have no doubt that you’d find this course useful too. For more about this family history course, and to sign up you can find all the details here. PreviousEven More Australian Passenger Lists! what a great idea. Thanks for sharing Alona! My pleasure Pauleen. But you really have to thank UTAS, I just spread the word. Thanks for posting this Alona. I’ve seen it mentioned on the AusTas mailing list today, but I didn’t look any further into it until I clicked the link on this post. It actually look very good & Dr Dianne Snowden (I hope I spelled that correctly) is the lecturer for this course – she presented a webinar on Tasmanian Convicts through SAG a few weeks ago that I attended. I’ve signed up for it tonight. Unfortunately this unit proved to be a disappointment. The staff seemed to be doing it all off the cuff, and the technology was very difficult to navigate. I suppose you get what you pay for. Noel, I appreciate your feedback, and I’m sorry you felt it wasn’t worthwhile. Others I know who’ve done it said that it was fabulous, so I guess it’s each to their own. Will you be running this again this year (2015)? 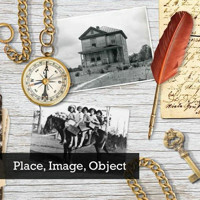 Hi Gloria, the University of Tasmania (UTAS) are currently running this course right now (Jul-Oct), see details https://www.gouldgenealogy.com/2015/06/introduction-to-family-history-online-with-utas/. As this course has proved popular, you might want to check with them if they’ll be running it again over the summer as they did last year.